Borealis and Borouge, leading providers of innovative, value-creating plastics solutions, announce a new partnership with ISOVOLTAIC, a global market and technology leader in backsheets for photovoltaic (PV) modules. At Intersolar Europe ISOVOLTAIC will launch the innovative ICOSOLAR® CPO 3G, a co-extruded polypropylene (PP) solar backsheet, developed jointly within the framework of a new type of business model with Borealis and Borouge. The core and outer layers of the backsheet film are produced using the first generation of PP-based compounds in Borealis' new umbrella brand for solar grades and products, Quentys™. While the amount of energy supplied by the sun is theoretically limitless, innovative new technologies must be discovered and developed in order to harness it effectively and affordably. With a long and impressive track record in Value Creation through Innovation in the energy sector, Borealis and Borouge have now expanded their scope of endeavours to include solar. The recent launch of the Quentys brand introduces step-change innovations that help exploit the full potential of solar by making applications more reliable, durable and affordable. Moreover, by entering into a new framework for partnership with solar technology leader ISOVOLTAIC, Borealis and Borouge are now moving further up the value chain. The grades Quentys™ SF700CL and Quentys™ SF900WL, which are used to produce the ICOSOLAR® CPO 3G, will be sold directly to ISOVOLTAIC, which then produces and markets the solar backsheet. Solar backsheets act as electrical insulators, protecting module components and ensuring efficient and lasting energy generation over the module's lifetime. High-quality backsheets are essential in order to avoid performance degradation, and to shield the environment from active electrical elements. The modules themselves must be protected from ultraviolet (UV) radiation, temperature fluctuations, moisture and humidity, chemical substances, scratches and other damage incurred during installation, maintenance and in-use. outstanding hydrolytic stability and insulation properties. Because there are no adhesive layers, the risk of inner-layer delamination is eliminated. Furthermore, co-extruded PP, as a single-step production technology, ensures the highest production quality and homogeneity, and reduces manufacturing complexity. This further increases its appeal as a replacement for conventional PET-based backsheets. "In the spirit of Keep Discovering we have extended our energy horizons to include solar, and have formed new business models to move up the value chain. Given the future market potential of this industry, these are tremendously exciting steps," explains Maria Ciliberti, Borealis Vice President Marketing & New Business Development. "Partnering with ISOVOLTAIC has proven to be an especially constructive learning experience for all parties, particularly in the areas of solar application requirements and testing." "Boosting the potential of clean solar is essential to more sustainable development in the energy industry," adds Eugenio Longo, Borealis Head of Sustainability and EU Affairs. "Borealis' sustainability strategy identifies Energy and Climate as key focus areas. Our new solar brand Quentys is a milestone on our journey towards a more sustainable energy future, because it enhances the viability of solar power on a larger scale." The launch of the solar umbrella brand Quentys was officially announced at the beginning of May 2017. 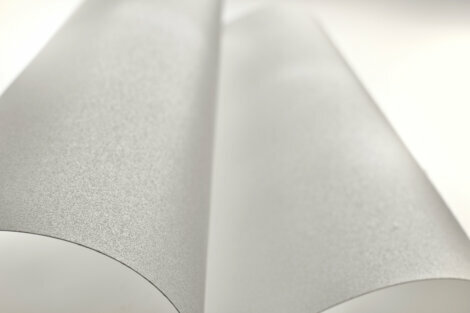 In addition to the solar backsheet, other innovative polyolefins solutions for the solar industry – including encapsulant films – will be launched shortly. Visit ISOVOLTAIC at Intersolar Europe, Stand A2.132 to learn more about ICOSOLAR® CPO 3G. Borealis is a leading provider of innovative solutions in the fields of polyolefins, base chemicals and fertilizers. With its head office in Vienna, Austria, the company currently has around 6,600 employees and operates in over 120 countries. Borealis generated EUR 7.2 billion in sales revenue and a net profit of EUR 1,107 million in 2016. The Mubadala Investment Company ultimately owns 64% of the company, with the remaining 36% belonging to Austria-based OMV, an integrated, international oil and gas company. Borealis provides services and products to customers around the world in collaboration with Borouge, a joint venture with the Abu Dhabi National Oil Company (ADNOC). The Borouge 3 plant expansion made Borouge the world's largest integrated polyolefins complex. Now fully ramped up, the additional 2.5 million tonnes of polyolefins capacity yield a total Borouge capacity of 4.5 million tonnes, and a combined Borealis and Borouge capacity of 8 million tonnes. Borlink, Quentys and Water for the World are trademarks of the Borealis Group.